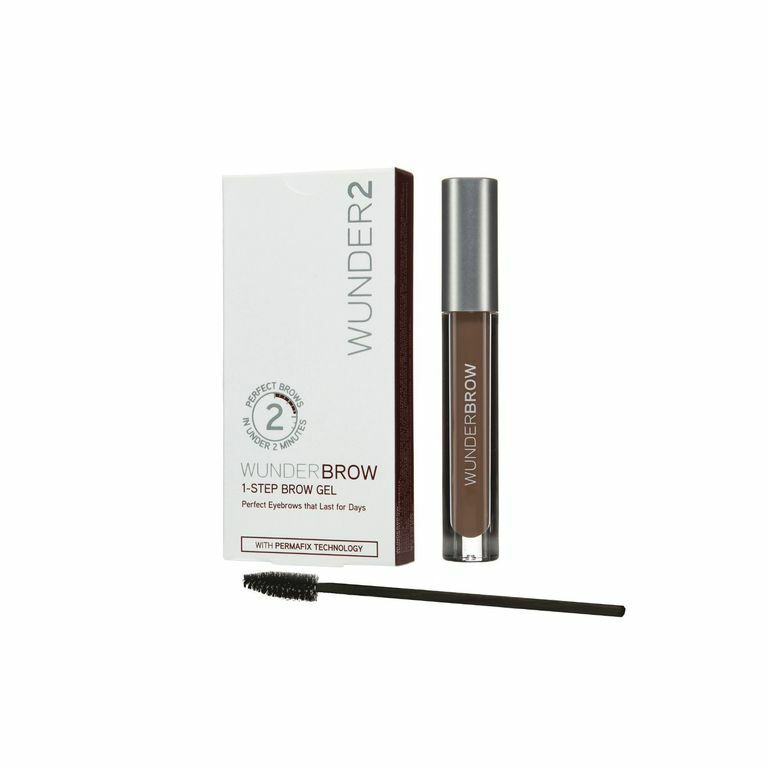 Wunderbrow Review- Does It Fill Very Sparse Brows? If you have more eyebrow hair and less skin showing, a lot of time and patience to perfect the application, a big box of cotton swabs, eye makeup remover for waterproof products, scouring powder and elbow grease - this may be a product you will want to try. I asked a friend to review this product. Her brows have been doing a gradual vanishing act for the past six years. She says that a combination of over plucking, stress, health issues, and the inevitable menopause are the causes of their deplorable state. Therefore she’s been on an unending search for the best brow product to color, cover, and shape her very sparse- and in a few areas- nonexistent, brows. Needless to say, she was very excited to acquire WunderBrow because it claimed that she could have perfect brows in only two minutes and the results could last for days. The product includes simple application instructions: apply gel to clean, dry brows (use a non-oily cleanser), fill in areas with short feathery strokes in direction of hair growth and groom with the included spoolie brush. Unfortunately, her first attempt was a disaster. So she decided to try again the next day. Making sure her brows were clean and dry she used the 1/8" wide brush to fill in the most sparse areas with the fiber filled gel. The gel was fairly thick and she had to wipe the excess off on the top of the container before using it. 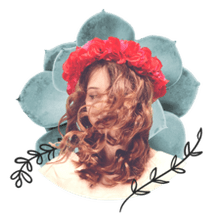 She admitted it was a challenge to get the gel to stick to the areas where there was no hair at all but kept at it, and with patience, those areas were gradually covered. She didn't like the size or shape of the applicator brush and frequently made a stroke that had to be removed. Whenever she accidentally applied the gel where she didn't want it she’d use her fingernail to swipe the gel away-- that was a big mistake. The gel has a stain in it that allows it to last for several days. Needless to say, she realized should have used a cotton swab to clean up wrong strokes. By the time she finished applying the gel, cleaning up wrong strokes, and combing through the wet gel with the dry spoolie brush it was at least five to six minutes per brow. She hoped with practice that time could be improved. However, she was not happy with the results. Although her brows were definitely fuller and filled in, each brow had a different shape. Therefore, they didn't match. She thought the brows didn't match because she had a difficult time applying the gel evenly and controlling the application. So she decided to try again and use the spoolie brush, dip it into the gel and brush it on. First, she had to remove the brows because they were dry and the skin was stained. She used a waterproof eye makeup remover pad, and with several gentle swipes the product eventually came off. The makeup remover contained oil so she had to use an oil-free cleanser to again clean her brows in preparation for the next attempt. She dipped the spoolie brush into the gel and combed it onto her brows. The areas with hair were covered but the really sparse areas weren't. The application was very uneven and again not acceptable. She decided to stop while she was ahead. The WunderBrow was already dry and she had to again use her oil-based eye makeup remover to get the color and fibers off (taking a couple of her precious few hairs with it). She also had to scrub the color off her stained fingers. She decided to clean the spoolie brush and rinsed it off in her sink, which turned into a mess. The fibers were stuck to the sink and she had to scrub it three times with a scouring cleanser before they were totally gone. She can say with certainty that WunderBrow sticks and will probably last a few days because the formula stains. When asked what her bottom line opinion is, she said, "WunderBrow is not for me!"